Gurnam Bhullar Biography: Gurnam Bhullar is one of the most well known singers of Punjabi music industry and from the rare artists who have learned and studied music properly. Gurnam Bhullar believes that an artist is one who can sing the songs suit to his voice but he must have good knowledge of his talent so that when he gets to sit among some people who are technically intelligent in the field. He should be able to understand the basic terms that one is elaborating. There are very few people who are into music field in Punjabi industry and are aware of its technicalities. But Gurnam Bhullar is not one of them. He started singing from childhood only and his family saint, whom the whole family follows once listened to Gurnam Bhullar and blessed him with lines that one day Gurnam will be a great star in this field. Gurnam Bhullar father has always encouraged him that whenever one does a work, may it be good or bad; firstly he should learn it and then try in the field. Hence Gurnam Bhullar’s very first music teacher was Manjinder Taneja from whom Gurnam Bhullar started learning basic music. And after that the list followed Master Krishan Shan, Vijay Parveen, Dr. Baldeb Narang & Dr. Pawan Bakshi are the people who taught him music during different stages. Gurnam Bhullar basically belongs to Fazilka, Punjab and hence he learning music from there only. Also, his graduation is also from there in BA Music. From school time only, Gurnam Bhullar was in love with music and started learning; he used to participate in many school functions. 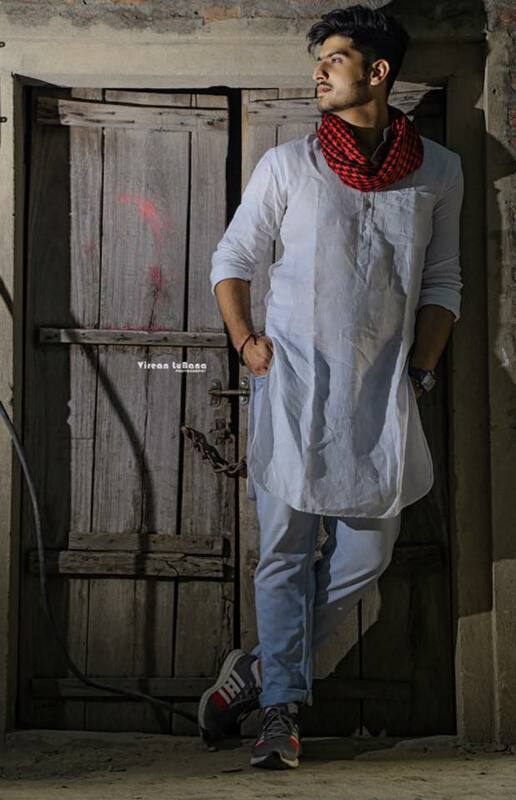 In college as well he exposed himself more, he used to participate in Singing, Bhangra, Theatre items and many more. Gurnam Bhullar never thought of being hit from a single song or becoming a great super star but yes, he has always desired to learn from every situation in life, from many Gurus he has learned music and says that he is still learning the things. This is what keeps his growing much as he is still connected to his roots. Gurnam Bhullar was just in 8th standard in year 2008 when he came to New Delhi, for the auditions of Punjabi Singing reality show Nikki Aavaz Punjab Di. He was not nervous at all as he often says that, that time he was unaware of things like fear and eliminations in the music line, he just came with a thought that he will travel across Delhi and will sing 2-3 songs and it will be a good enjoyment. In this naivety, he won Nikki Aavaz Punjab Di and this is how his music career started. After this he applied for auditions in singing reality show Sa Re Ga Ma Pa and performed in front of Shankar Mahadevan, he did not win the show but many times, he got standing auditions from the judges and he was considered in list of most concave artists list. Gurnam Bhullar songs touched many hearts during the time he was doing reality shows at various stages. Gurnam Bhullar family has always supported him especially his grandfather. 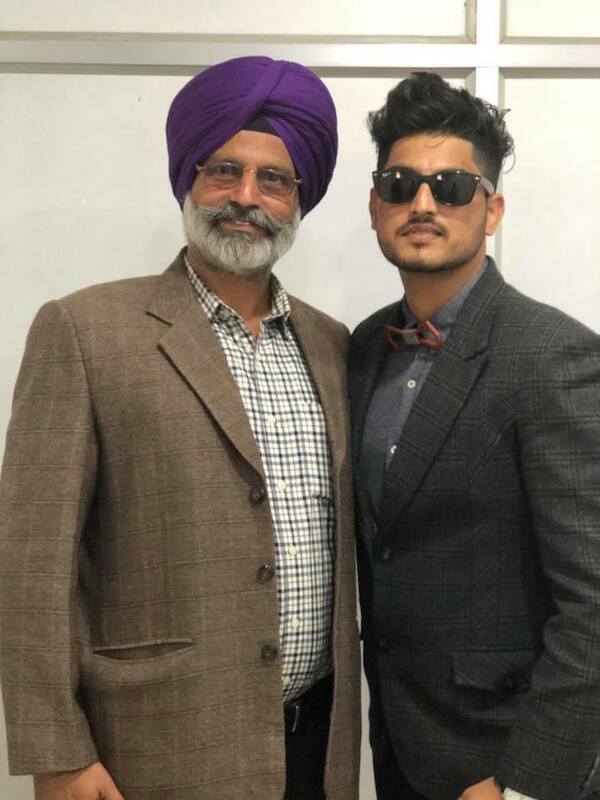 His grandfather used to listen to Gurbani and sing, and then he asked Gurnam Bhullar always to sing Gurbani and learn good music, he taught him many things related to music styles along with knowledge of Sufism field, which has always given him good vibes and filled him with positivity. His grandfather has a great role in his success. Gurnam Bhullar often says that he has chosen a way of songs that do not come to a particular usual category, just as he says that there are Sufi singers for Sufi songs and he counts as that a ‘A Class’ category of music. Where are songs related to weapons and drugs are on the other hand, which are included in ‘C Class’ category and Gurnam Bhullar says that he has chosen to sing in between that nor his songs are too pure as Sufi, neither as bad as ‘C class’ hence, he has found his own stlye different than others. Gurnam Bhullar was very active in participation during his school time, not only singing but Basketball was also one of his interests when he was under 14. He was good player of the game but after that finally chose singing as his power. In college he has participated in theatre as well and now, along with singing, he goes to gym and takes care about his fitness as well. Gurnam Bhullar duet song was with Deepak Dhillon named as ‘Kismat wich Machina de’ which made many people aware of voting and choosing their own government. After this there is no duet that he has sung but he is planning to sing another with Deepak Dhillon only just because his tuning and scale matches with her. Gurnam Bhullar movies are not here yet but to this, he says that he is listening to many scripts. His whole team is named as Jass Records and his every song is recorded under this label, whenever Gurnam Bhullar sings a song, goes to a show or takes any other step for his career, his team has a great part in this. Hence he says that he do not want to do a movie just because his some songs are hit but because he has acting skills and has done theatre as well. Gurnam Bhullar says that he will do a movie only when he finds a wow script which will be suitable for him, may the movie be hit or flop but yes that movie should have something to see or at least a onetime watch. For now he has o such serious plans to do a film. Although his team has suggested him many times that he should not go for movies early as this is not the time yet. There are number of Gurnam Bhullar songs which are famous but a song named as Rakhli Pyar Naal is the one that Gurnam Bhullar thinks, which has changed his life and he has been able to make his own identity in the Punjabi Music Industry. Till now there are number of songs on the list of Gurnam Bhullar which are being released. More than this, each song is a single track and has crossed many views of YouTube. We wish him all the luck from our side and wish that he reaches more heights in his career. Also we wait for the a good Punjabi movie from his side.